The unbridled optimism at East Sussex County Council continues unchecked as Combe Haven and its tributary valleys face irreversible damage from construction of the BHLR – its exclusive and obsessively pursued 1960s transport vanity scheme. 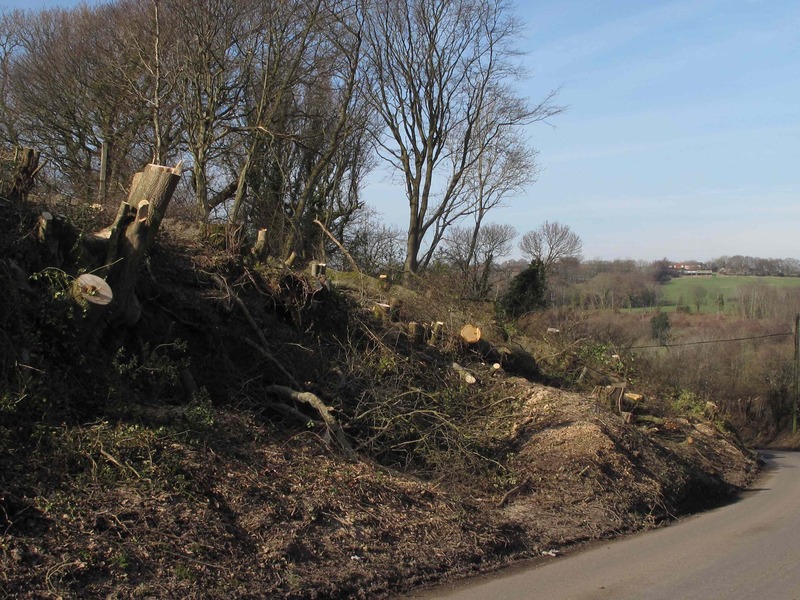 The landscape has already been stripped of hundreds of trees – many of them significant landscape features and up to 400 years old. The preparatory tree and hedge cutting on a major scale appears to have been completed. This includes additional clearance for which permission appears not to have been granted, with an area of designated ‘ancient semi- natural woodland’ being felled (Chapel Wood, photo, map.) The map shows clearly that only the area within the solid brown line was to have been cleared. The photo shows clearance up to the road. Torn reptile fencing has been repaired. The damage was on quite a large scale and was left unrepaired for days on end. It would seem to us that surveys of reptile populations and behaviour need to be redone. Several reports have come in from farmers of numbers of trapped newts providing easy pickings for birds. Certainly, the traps within the zig zags of fencing held no trace of reptiles. The fences are conspicuous against a background of a barren and now treeless landscape. (Photo). Birds returning to nesting sites have been seen flying around along Decoy Pond stream, near Actons Farm and around Adams Farm where their recently cleared habitual sites used to be. A pair of lapwings have been seen displaying their courtship flight on the path of the BHLR route, sadly futile. Individuals walking in the valley have reportedly been aggressively challenged by security staff. Following our appeal to the Information Commissioner (ICO), the Department for Transport (DfT) was judged to be wrong to withhold key information on recommendations to ministers on the question of funding for the BHLR. These recommendations – which we believe fell far short of recommending that ESCC should get the money – were made just 2 days before George Osbourne’s approval of £56.8m, announced in the 2012 Budget Statement. The Department for Transport has a right of appeal but we hope they will respect the ICO decision and disclose the information to us, and the general public. After 11 years of planning and expense devoted to the massively subsidised Link Road, East Sussex County Council are only now looking at the nature and extent of public transport that will have to compete on the far from level playing field. What a contrast to all the money and time wasted on the road. Clearly public transport and its users are considered of lesser importance. Initial plans for buses on the Link Road envisage none on Sundays and Bank Holidays; none at all after 7pm; none between Bexhill and the Conquest Hospital – instead change at Tesco. A bus lane is now proposed to be removed from the original link road plans. A station at Glyne Gap (30 years late) is under study but we’re not holding our breath, and the extra train per hour passing through and serving stations between Ore and Cooden recommended in 2000 is unlikely to arrive any time soon. Based on figures from the Access to Hastings Study of 2000, rail passenger numbers will fall by anything up to 40% as car travel (and congestion) increase. And we all know of the CO2 increases that will follow the road – the worst of all 45 currently planned English local authority road schemes. Oh yes, and second to bottom for ‘value for money’ and the only one described by the DfT as ‘poor’. That’s second rate then. Hastings and Bexhill deserve better. 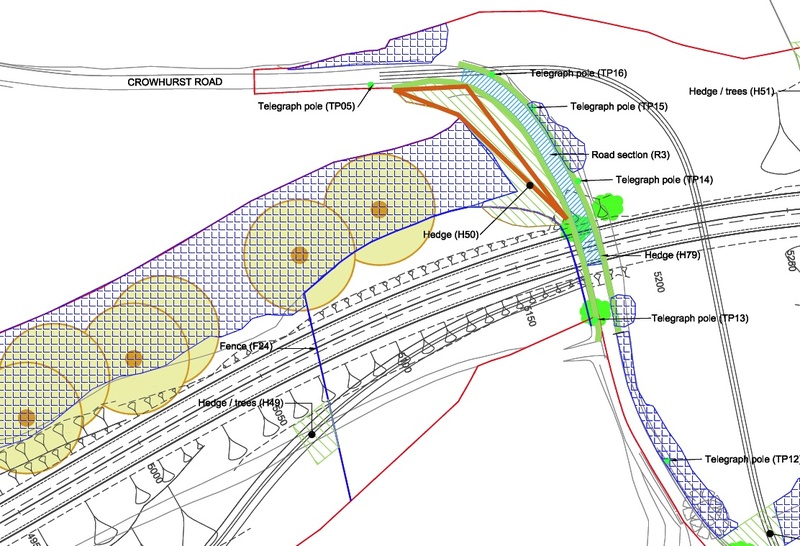 A separate planning application from Seachange will go in shortly for the additional road between the BHLR and Wrestwood Road to open up land for business and housing. Chief Executive John Shaw has little idea of how people would get to work other than by car. We pointed out to him that the people most in need of jobs don’t have access to a car. He describes the sites as ‘accessible’ and as a ‘coastal location’. There’s also an optimistic prediction of high occupancy of the business site arrived at by comparing the successful town centre office developments, close to public transport links, with this ‘car based’ out of town site. There’s no comparison. A number of amendments to the BHLR plan have been submitted. These are cost cutting measures considered to be ‘non-material’ amendments (NMAs) to the scheme. This means that in the eyes of ESCC, they don’t fundamentally alter the plan or function. If this is accepted, it means they can avoid going back to the DfT and rush the amendments through. We disagree. We believe the amendments are material changes and will make a difference to the function of the scheme and have submitted objections to their proposals. These include: changes to flood control measures in Sidley and Bexhill along the line of Egerton Stream; combining cycle, pedestrian and equestrian routes instead of segregating them; narrowing the carriageway in places; replacing bridges with fords (remember the annual floods); and removing a bus lane. We had asked to speak at the Planning Committee meeting, but…..
We now learn that the Planning Committee, due to meet on Wednesday 24th April, will NOT now determine the amendments to the BHLR plan. This means that Derrick Coffee of the Hastings Alliance and Andrea Needham of the Combe Haven Defenders, both having asked to attend and speak at the meeting, have no right to speak. Instead, Rupert Clubb, Head of Economy, Transport and Environment has taken delegated powers to determine the amendments himself as they are considered ‘non-material’. In our objections to the above we point out the low aspirations for bus services (see above) and consequently a large risk of failure to carry out conditions attached by the minister to the approval of funding in April. He required ESCC to ensure that public transport measures, including meeting the objective to give unemployed people access to jobs – which includes public transport provision, and buses on the Link Road – were provided. The changes to conditions for cyclists mean that journeys could be longer and time consuming; and as a result, cyclists may be using the (unsafe) Link Road. Of course, much of this is academic because the ESCC jobs calculations are in fantasy land and over 4 times the numbers calculated by the DfT. The arrival of the University of Brighton campus in Hastings has brought prestige and vitality to the town – a sustainable element in the regeneration plan for the town centre and area, and something the Hastings Alliance supported from the start. The University has in the last 12 months received a silver award for introducing procedures to cut energy use and increase sustainable practices. Credit is certainly due there. Universities can be said to be the repositories of widely and deeply held values of the societies of which they are an important part. That is true of this University, and also of Trinity College Cambridge, which stands to make huge financial gains from the sale of land to be developed following the construction of the BHLR. Many local people find it difficult to comprehend how these seats of higher education can freely associate themselves with the BHLR project – a risky and speculative car based development involving the devastation of treasured local habitats and landscapes, and seemingly ignorant of pressing climate change issues. The University of Brighton is a member of East Sussex Energy, Infrastructure and Development Company, also known as ‘Seachange’ which is promoting the north Bexhill development along with the Link Road. Associations with projects like the BHLR can only tarnish the Universities’ hard earned reputations. IF ONCE YOU CRAVED AND ENJOYED TRANQUILLITY IN COMBE HAVEN – GO (BY CAR) SOMEWHERE ELSE! The ‘offsetting’ measures ‘in the Brede/Hastings area’ approved by the DfT as one condition of funding approval were apparently designed to ‘offset’ some of the BHLR’s negative impacts on biodiversity. However, while residents of Bexhill and Hastings were able to walk to Combe Haven to see wildlife, how to access the area where offsetting will be implemented is not at all clear. 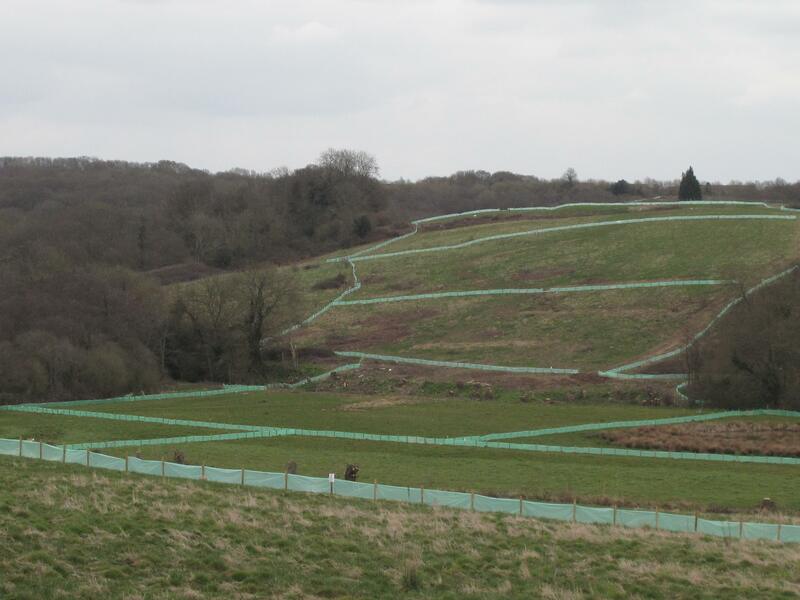 What is clear is that anyone looking to experience this new and enhanced natural area will have to exchange the ‘walkable’ and soon to be degraded asset of Combe Haven, for a car or bus journey to a location further afield. This is hardly socially equitable, certainly unsustainable, and clearly no substitute for anyone, people or wildlife. A bad joke really. 1 Response to BHLR – Car culture first, Humanity second, Nature, Landscape and Tranquillity last. I feel sad about losing the lovely countryside that I walk in most days with my dogs. I can get to combe haven valley without transport. Now I will have to go somewhere peaceful, further away, using my car, which causes more damage to the environment. What a total waste of money the whole Link Road is!